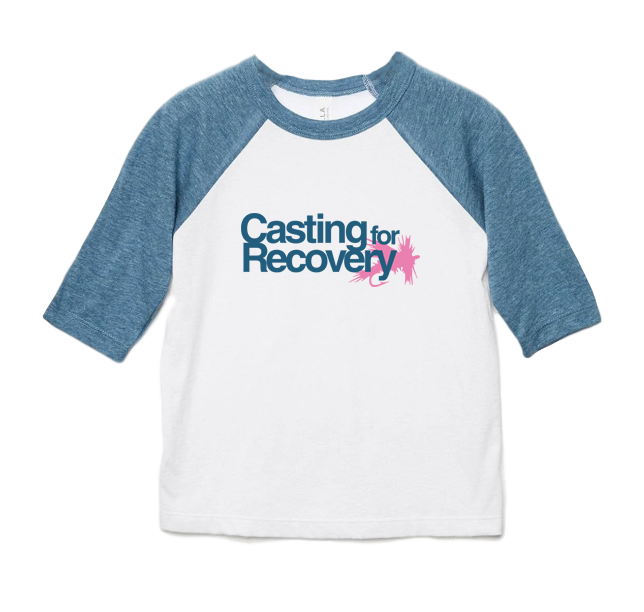 The classic Bella + Canvas baseball tee made into a classic CfR shirt for little children. With super soft blends of Airlume combed and ring-spun cotton , three-quarter contrast raglan sleeves and crew neck with contrast trim, this toddler tee provides a modern fit for any growing trendsetter. Features: Side-seamed. Contrast raglan sleeves and neck trim. Tear-away label. Available in size 3 and size 5/6.